Welcome back to Don and Toni's story. 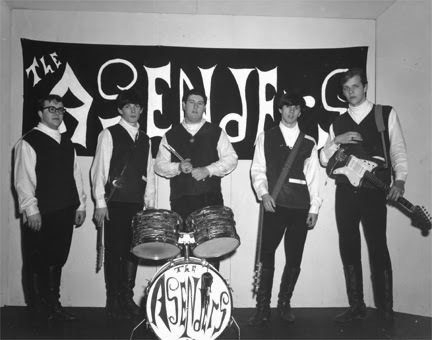 with his band when he was 19. Don explains how they came up with their name. "ascender" which is the part of a lower case letter that rises. 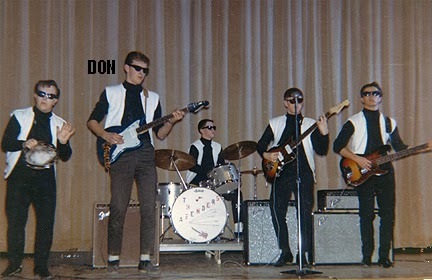 The band wanted to be on the Rise. in a local high school talent show. 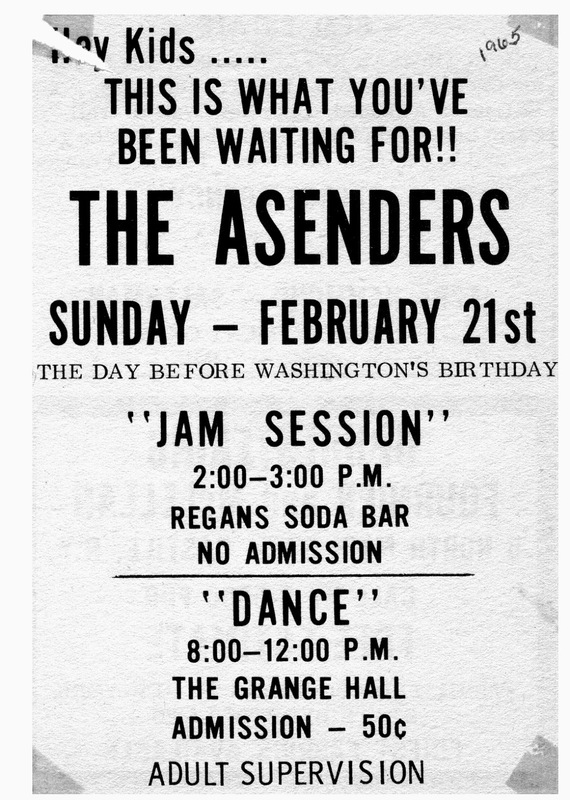 Then they played at the local soda bar. On one sunny afternoon they played outside a 3 story building and people came out and danced. After more practice their confidence grew enough to put on a dance at The Legion Hall. They rented the place out and took admission at the door, sold pop and chips, and had adult supervision. This was a big deal, large stage with lighting and a Huge dance floor. This place held 100's of people and it was filling up with loyal fans. Then they got a call from a local place called Sandsabarn. 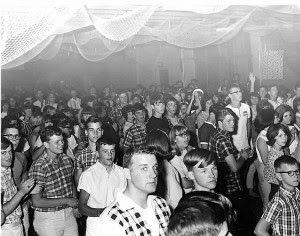 It was a teen night club NO ADULTS, located between Warsaw and Perry in New York. It was open on Friday and Saturday nights as well as on some Holidays. 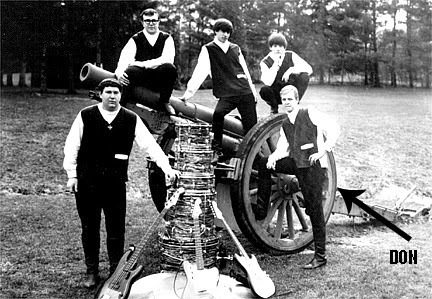 They would play there quite often. It sounds like a really neat place to be. The dance floor was filled with white sand, no shoes were allowed. REALLY How cool was that! 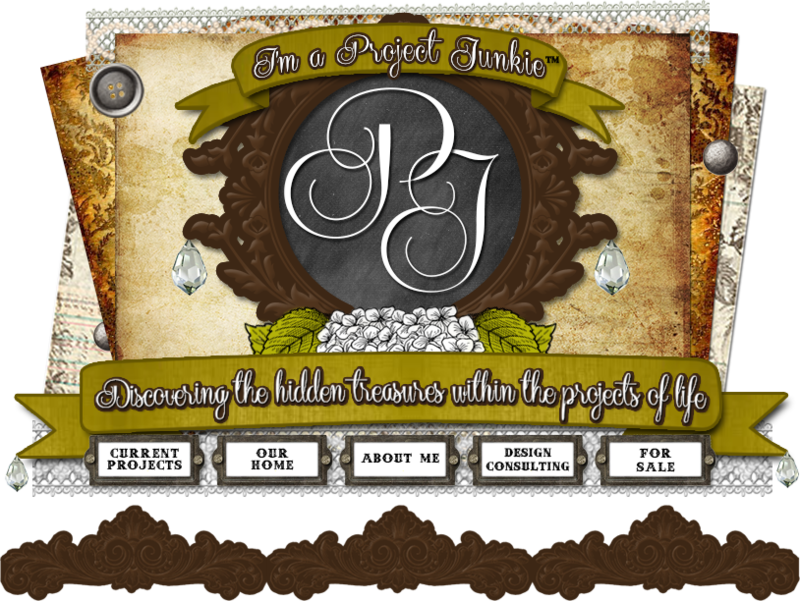 Below is an interior shot from www.thedailynewsonline.com. You can read more about this place on that site. 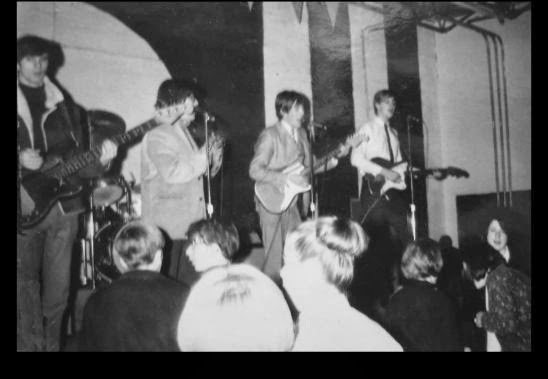 The McCoys who sang "Fever" and "Hang on Sloopie"
and the Left Banke who sang "Walk away Renee"
O how I wish I could have been there to see that! Does anyone remember Bleeding Madras Shirts? 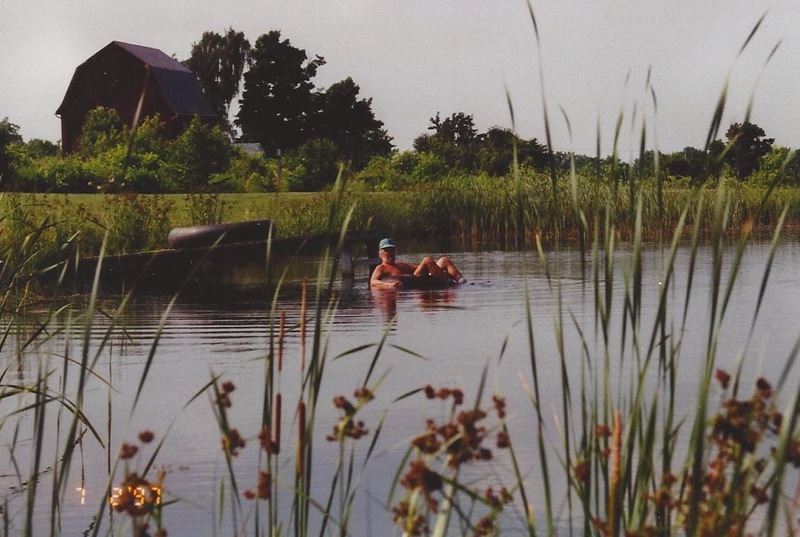 Roger and Brenda Paddack were the owners of this Groovy place. According to the article posted on The Daily news, They were inspired to open this club after watching the movie "Beach Party". 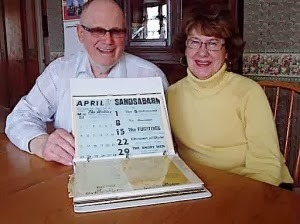 They cut their first 45 record sponsored by The Sandsabarn. They played these songs every week during their sets. 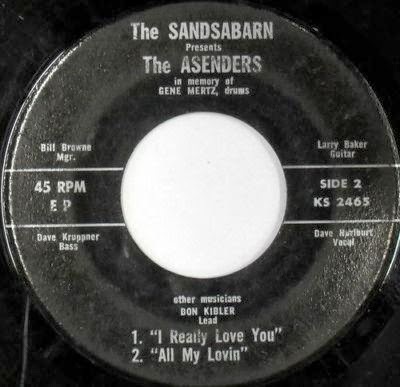 The record was sold locally as well as played on local jukeboxes. Don tells me there are still some around but they are rare. A copy sold on ebay a few years ago to a garage band collector in Australia for $328.34 according to The Daily News Online. 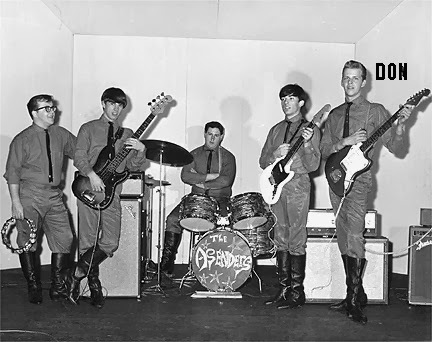 On May 22, 1965 they lost 3 of their band members to a fiery car crash--- Larry, Darwin,and their Manager William. The Bloom's really took them under their wings. 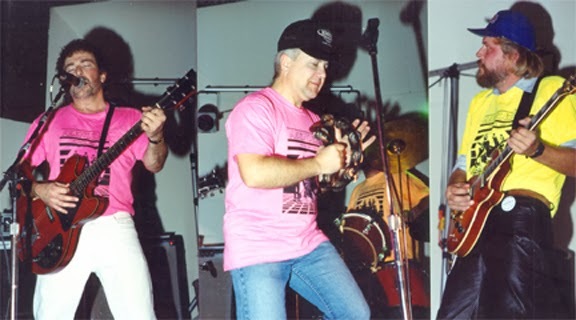 Mr. Bloom managed their practice times, got them booked for Gigs, made sure they arrived on time, as well as keeping them safe. They saved some of their money to buy an old 1951 Buick hearse to use for traveling. Mrs. Bloom handled their wardrobe and their stage presence. 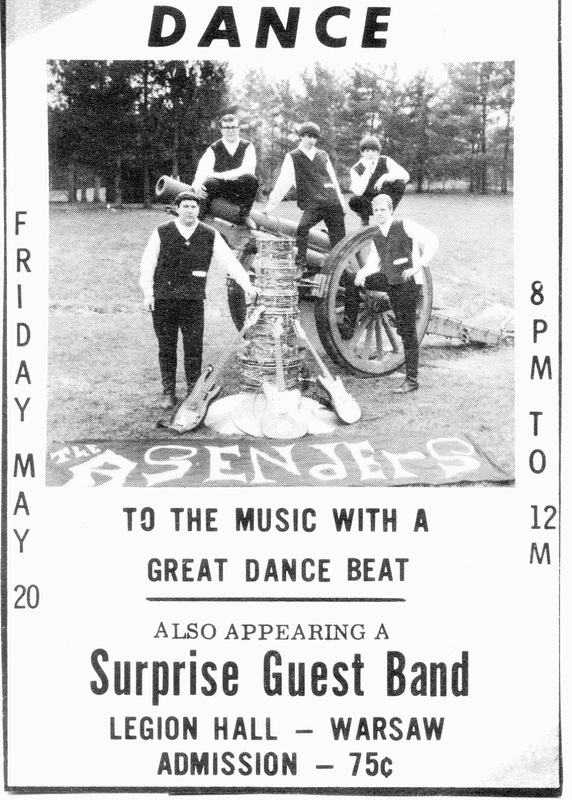 Soon after that Mrs. Bloom saw an ad for a competition between teen bands and had to convince them to enter. So off they go to Boulder Park in Indian Falls to perform in front of the judges. BUT.......They still made that 2nd 45 record. 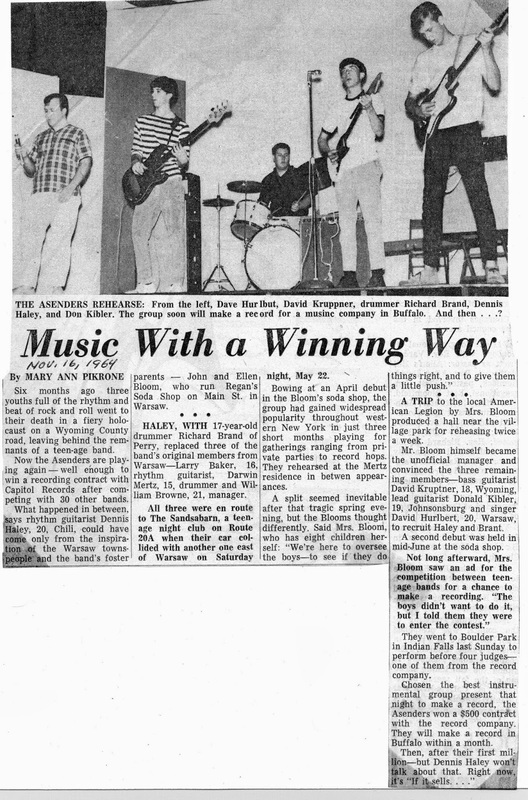 They did it on their own with some help from a promoter from Hornell. It was under LEE records. Don't loose heart, it doesn't matter how things look. Don tells me a funny story about when they were in New York City. "I think I'll hang out of the 50th floor bathroom window at our hotel to take some pictures." His band members hold on to his feet so he could extend out for better shots. So once he got home to develop the film after rewinding it he opened the back to find NO FILM!!!! REALLY! After all that NO FILM!!! 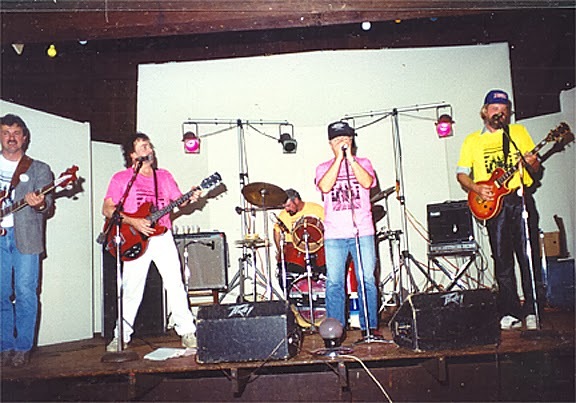 After disbanding, some members later got into other area bands. 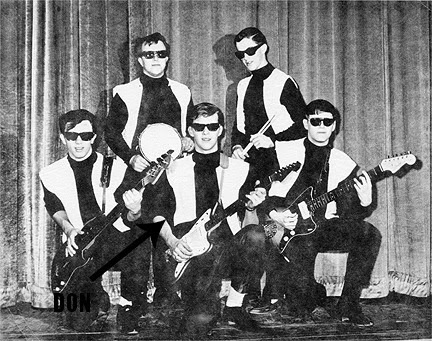 Don says they were all so well connected, they knew who was going to do what and when. The time spent together practicing and playing all those years together was such great times. Don always had an interest in art. 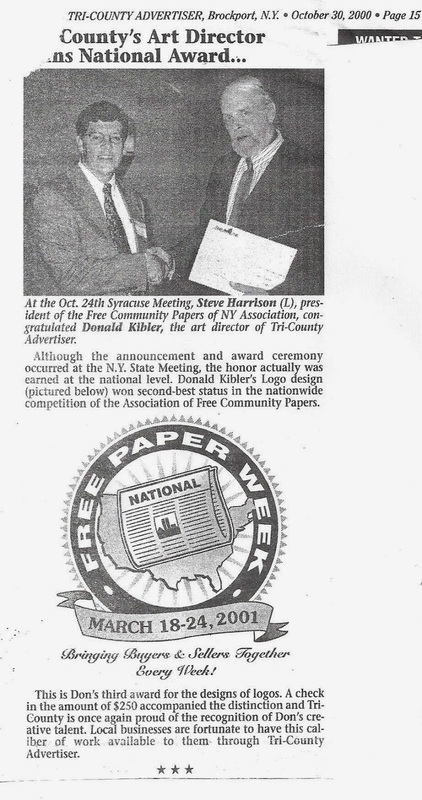 He took 4 years of it in high school as well as attending RIT for graphic courses. When he was 15 he had a dark room. He developed and printed his own photos. ad designs on the state and nation level. Including a trip to Cancun, not yet taken! Don has a real passion for art and photography. Don uses this little "gadget" you see him holding to quickly wash the black walnuts during harvest time. Black walnuts have an extremely hard outer shell. That's how the " i-Crack" was born, as seen in the picture below. 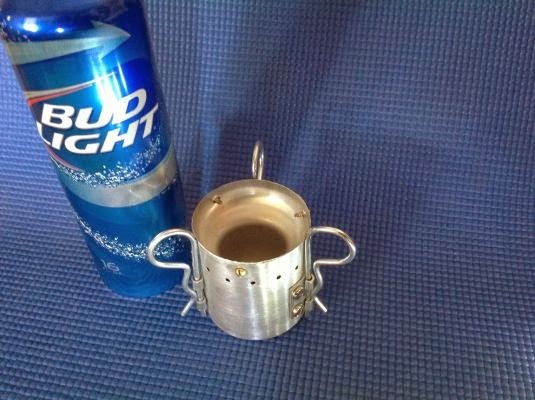 and the photo below shows his Stove version he made out of the Bottle. Don's favorite (HEET) which is a brake line antifreeze, no wick, no fumes, no moving parts. It will boil 2 cups of water in 6 minutes and will burn for 10-12 minutes on 1oz. of fluid. He made a few improvements on his version of the stove, by making a folding pot support system from "R" clips and half hinges. 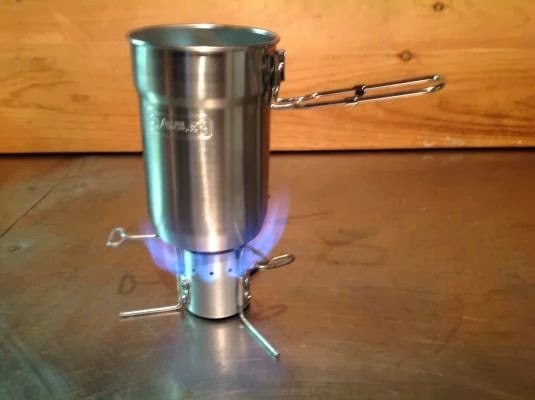 This allows his stove to be more compact and support a larger pot. Don keeps busy working on ideas to re-purpose every day items. He's also writing a true story about the family cat that walked home from a vet visit 7 miles away. He is still doing montage images with his photos. His real interest is in growing and processing food and eating it. Ok Don where's the solar power paddle-boat? Thanks Don and Toni for opening up your life for all of us to enjoy....See you this summer.